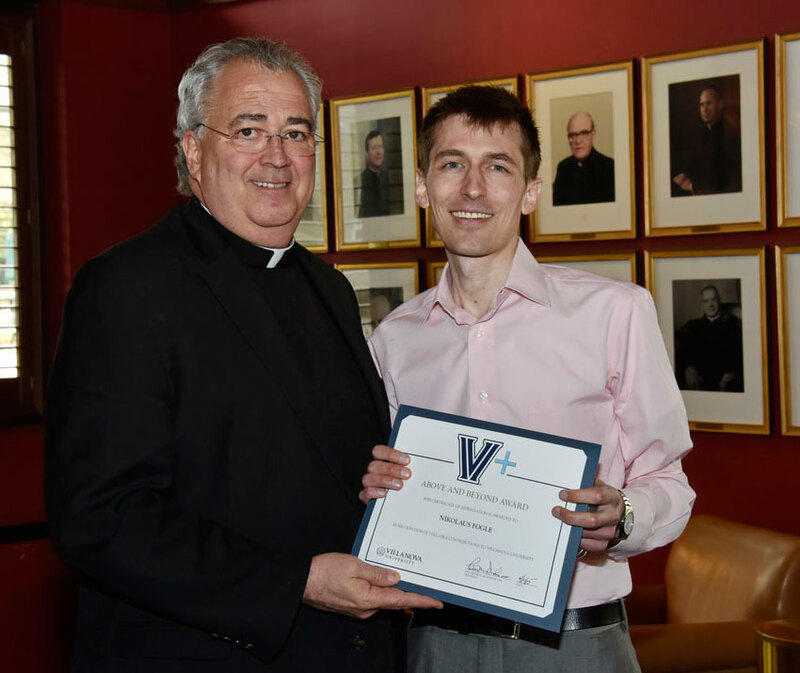 Nikolaus (Nik) Fogle, PhD, received the Above and Beyond Award, one of three awards given by the Villanova University Staff Council each year to members of the University staff. He received the award at the University Staff Council Awards Luncheon on May 1. Dr. Fogle joined Falvey in 2012 as the philosophy librarian and Philosophy, Theology and Humanities team coordinator. He works with several humanities departments and programs on campus, providing research assistance, information literacy instruction, and support for a range of collaborative projects.